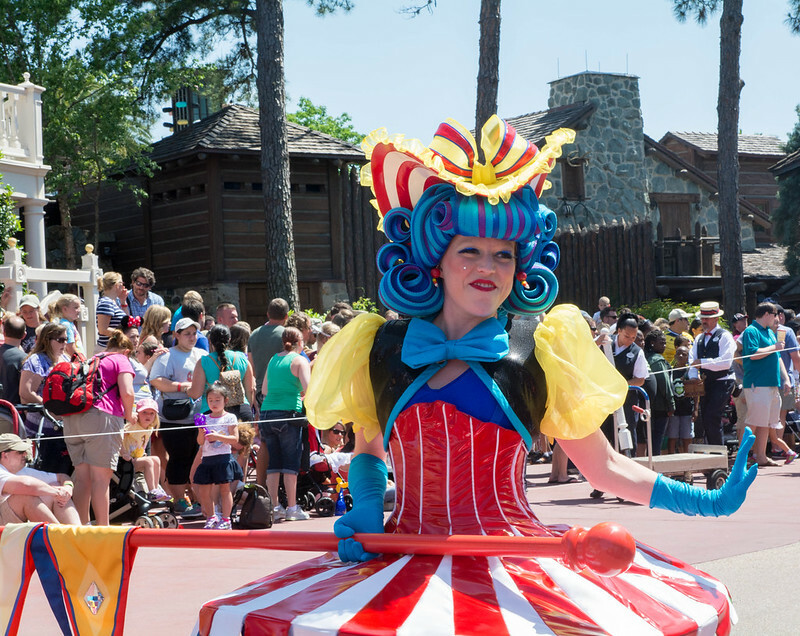 We hadn't planned a day at Walt Disney World when we planned our cruise. While it would have been great fun to take off a week and a half and do a land and sea vacation, we really didn't have the time. 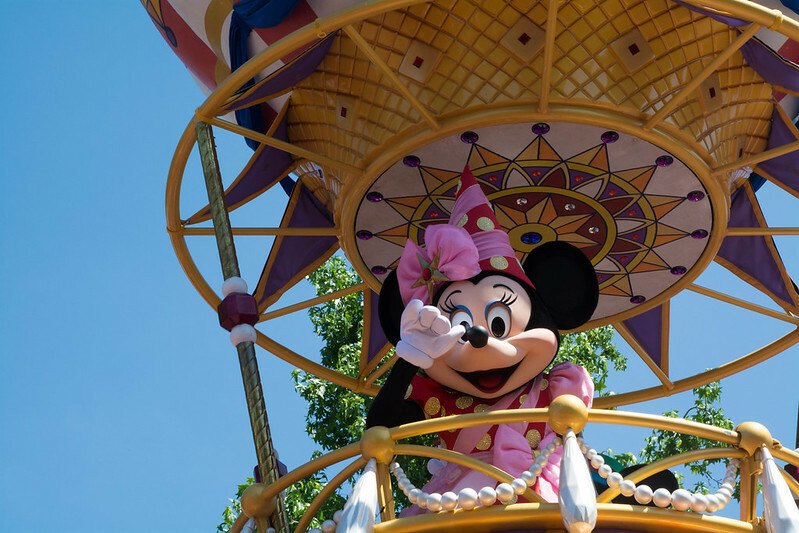 We were, however, getting off the ship on a Saturday which gave us a free weekend, so the thought of going to Disney World after the cruise had certainly crossed all of our minds. 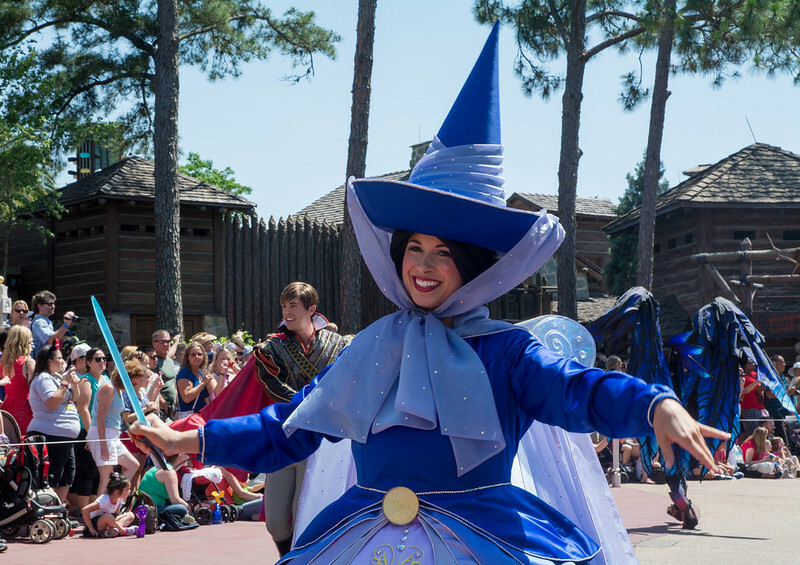 I think it was the second or third day of the cruise when Rachel said that this felt very Disney, but she didn't feel like she was quite there, yet. She needed to go to Disney World. So she proposed that after we leave the ship, we drive to Disney World and visit a park, then leave around 9 PM and drive through the night back home to South Carolina (Rachel and Max needed to be back on Sunday because Rachel was attending work training, and Max had to move to Columbia for his summer co-op rotation). Rachel, Mom, Dad, and I are Disney Annual Passholders. 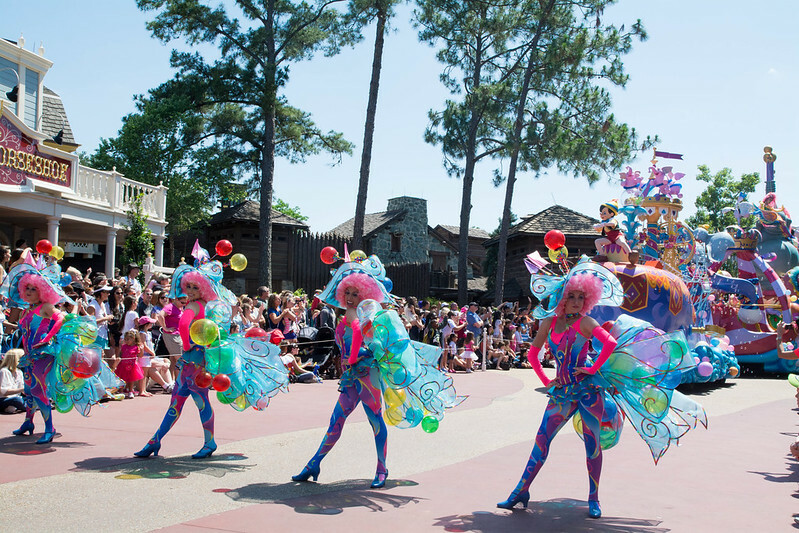 Since activating them in October for our birthday/Food & Wine festival celebration, we also visited Disney World for New Year's. In October, we were among the first groups of people to test Disney Magic Bands, so we've had a good bit of experience using My Disney Experience and FastPass+. 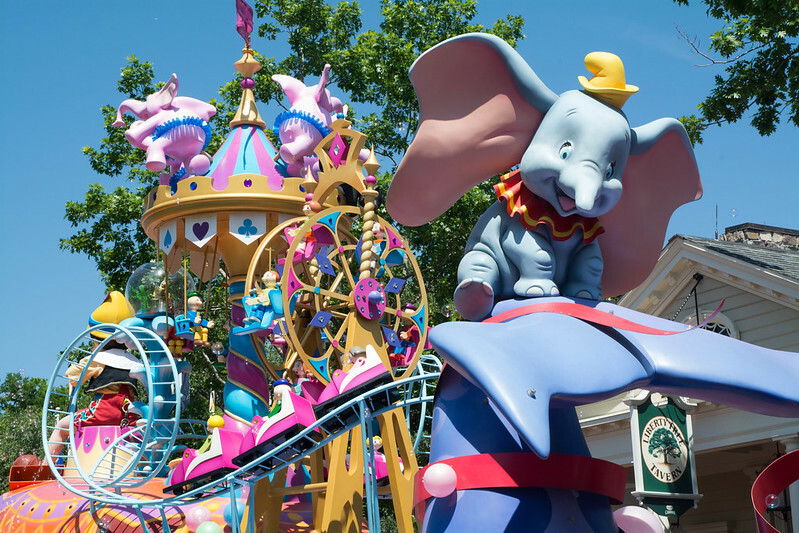 Max, however, has not been to Disney World since they have eliminated paper FastPasses and switched to FastPass+. While we already had Magic Bands and park tickets, Max was going to have to buy his one-day pass when we arrived. I was a little nervous about how it was going to work with my family using Magic Bands and Max having a one-day, one-park pass. 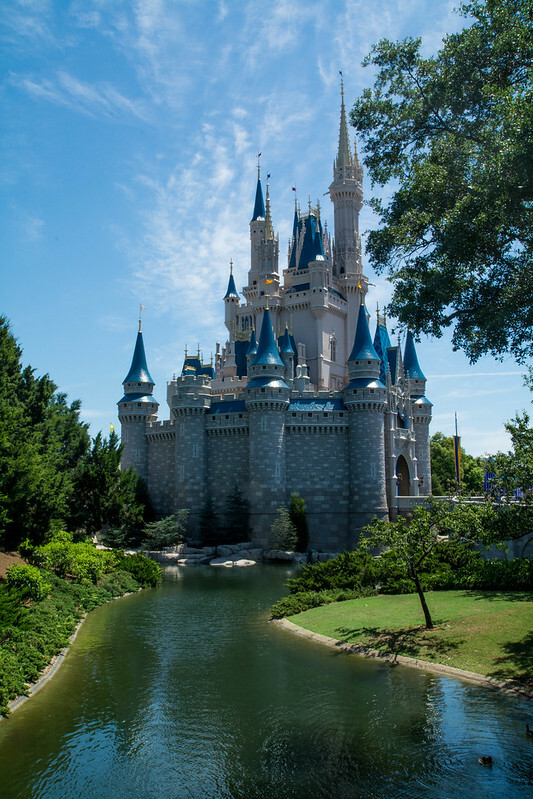 Our park of choice was the Magic Kingdom which is perhaps the worst to purchase tickets at because you have to do so at the Transportation and Ticket Center, and there are so many other people there to purchase and pick up their park tickets. I waited in a ridiculously long line with Max for half an hour so that he could buy his one day, one park pass. 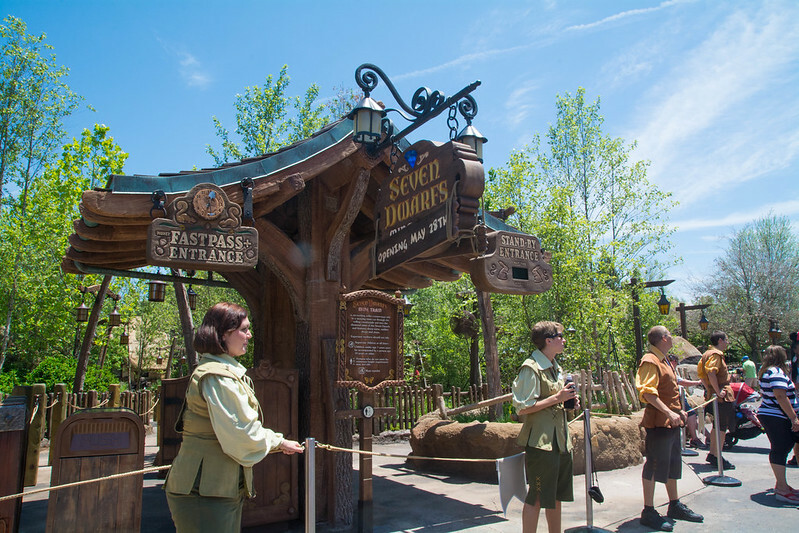 There really should be an express line for one day, one park passes because they take no time to sell. You should be able to purchase them out of a kiosk or something, even. 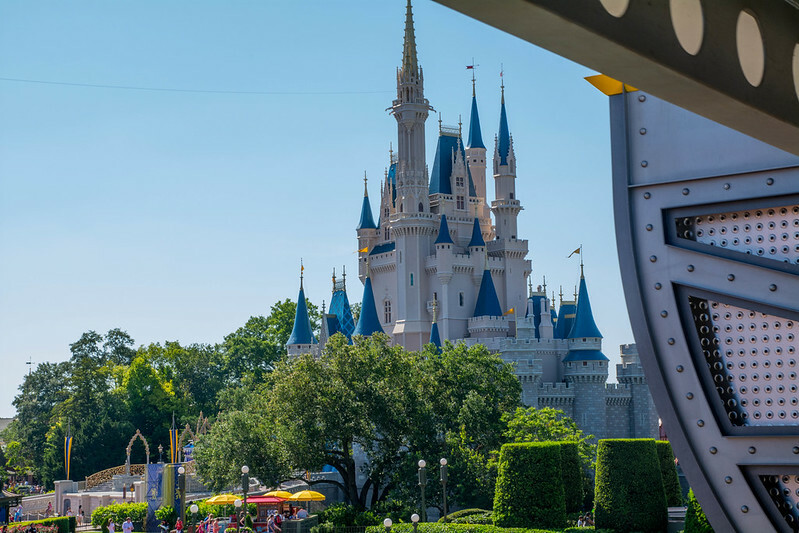 Rather than paper FastPasses, Disney World now allows guests to make three FastPass reservations in advance (click here to learn more about FastPass+). As soon as Max got his ticket (which was around 11:30 AM), I scanned it into my My Disney Experience app using the "Link a Ticket or Pass" scanner feature. I had already created a profile for Max, so after the ticket scanned, I was able to match it to his profile. 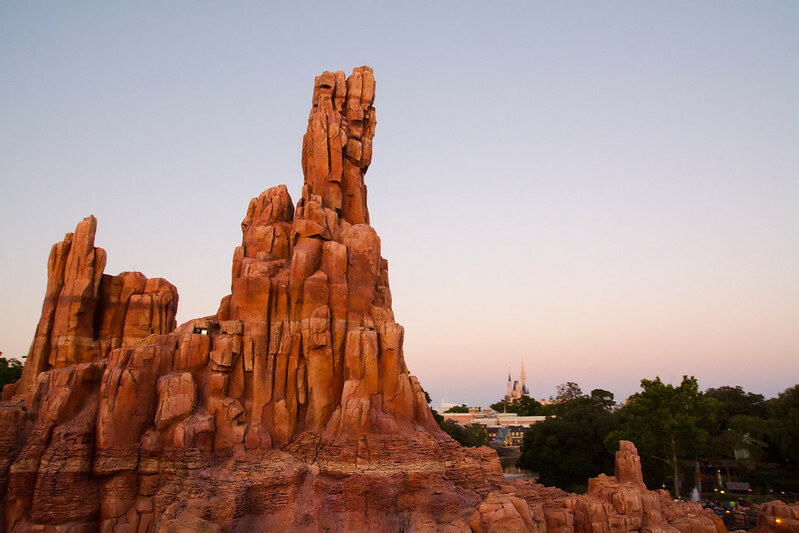 On the monorail from the Transportation and Ticket Center to Magic Kingdom, I got us FastPass+ reservations for Space Mountain, Big Thunder Mountain, and Pirates of the Caribbean (because Splash Mountain was unavailable at the time). I was surprised at how easy it was to add FP+ reservations the day-of, immediately after purchasing a ticket. 1. 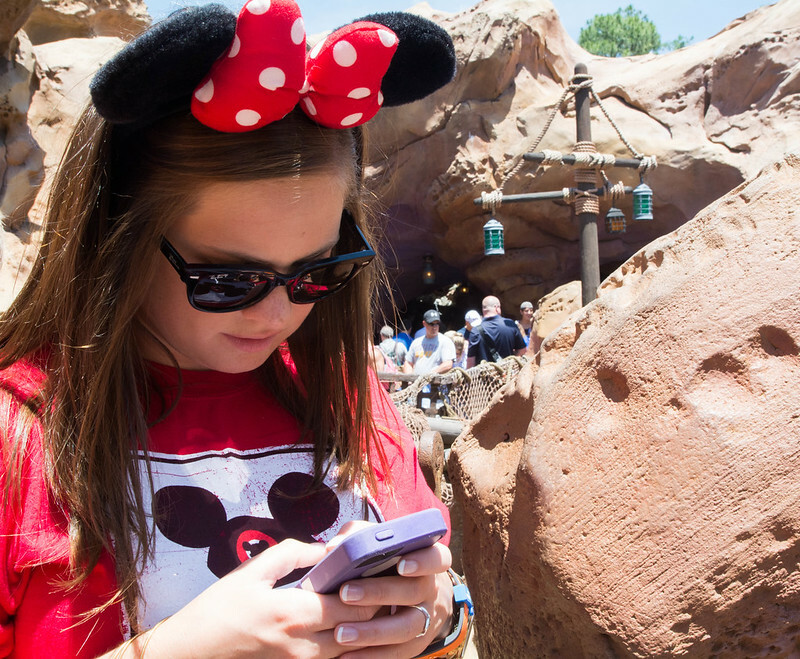 Download the free "My Disney Experience" app in advance. 2. Go ahead and log into the app and create an account. 3. Make a profile for yourself and everyone in your traveling party. 4. As soon as you get your tickets, have the MDE app open and be ready to scan in the ticket QR code and link each ticket to the profile of each family member. The trains were running, but it was not open to the public, yet. They were doing a "soft opening" for Disney Cast Members only. My dad tried to persuade a cast member to let him in. "I'm a cast member. I'm Dopey." "Wow, Dopey. I didn't recognize you - you're a lot taller!" 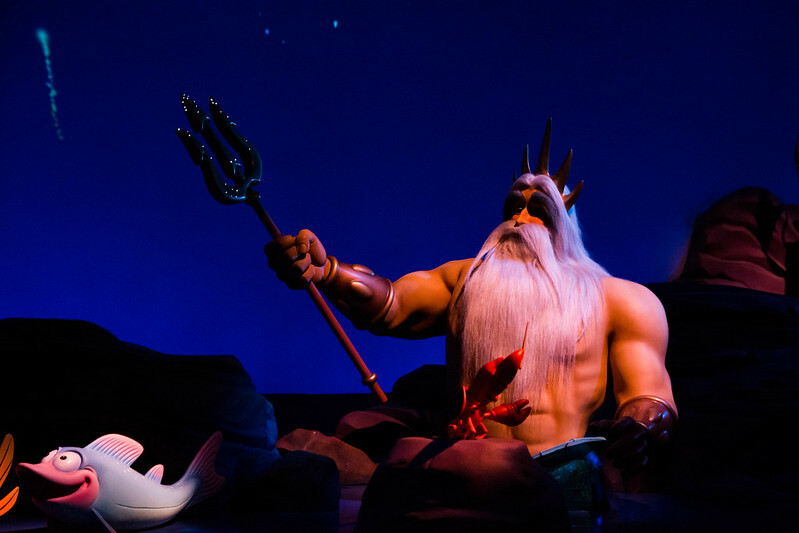 After getting a good look at the Seven Dwarfs Mine Train, we headed on to The Little Mermaid. The wait time was listed as 30 minutes, but it was more like 40-50 minutes. 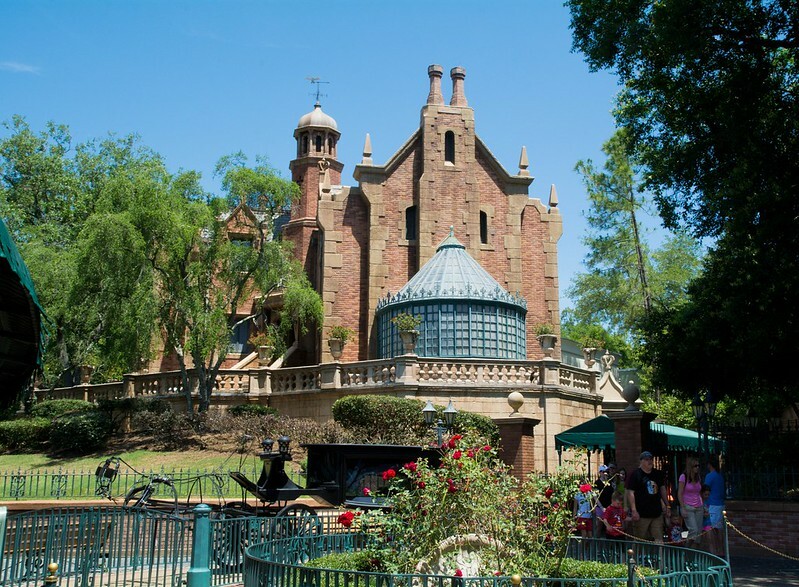 And when we got off, we realized that the wait time had been changed to 70 minutes - yikes!! 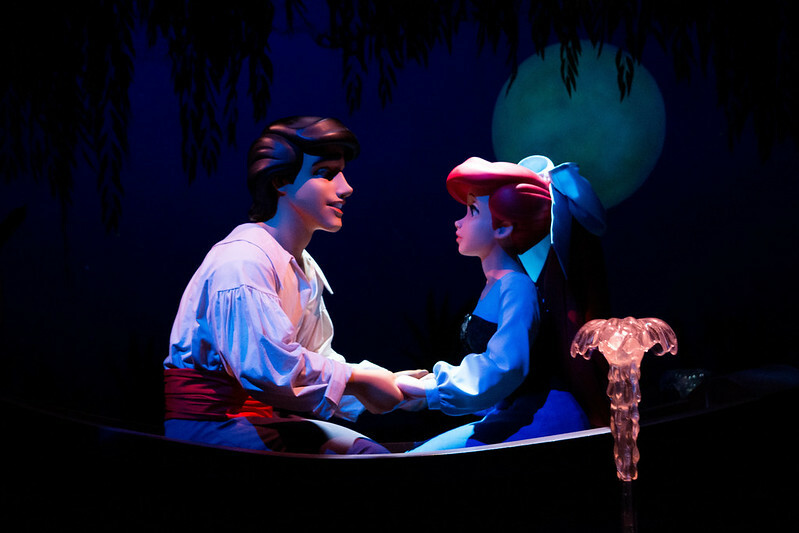 The Little Mermaid attraction is a dark ride which takes you through the wonderful soundtrack of The Little Mermaid. We were going to try and get lunch at Be Our Guest because both Rachel and Max really wanted to eat in the dining room. However, the wait time was about 45 minutes. We stood in line for a bit, but after looking over the menu, Rachel and Max didn't think that the food sounded very good to them. The lunch menu for Be Our Guest is a more "sophisticated" counter service menu, offering braised pork, vegetable quiche, and fancy French sandwiches. While that's great for theming, we would have been just as happy eating pizza and chicken nuggets. 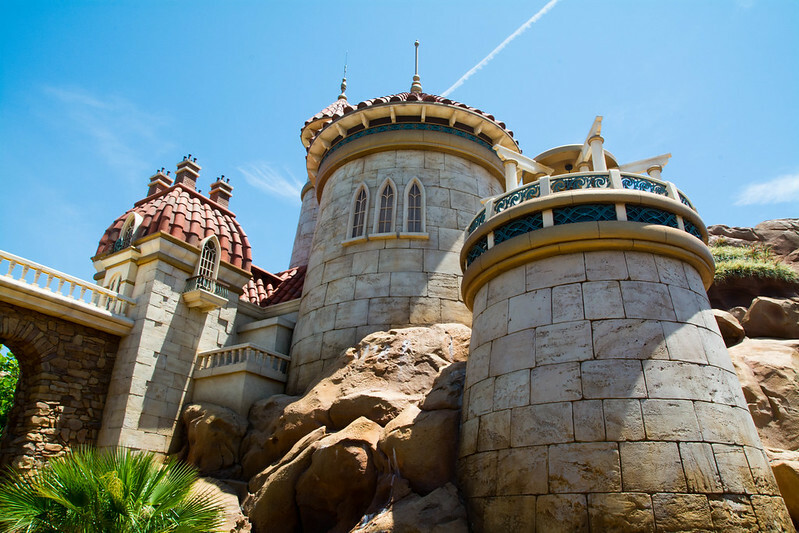 Wanting something quicker and simpler, we moved on to Pinnochio's Village Haus in Fantasyland, overlooking the boarding area of the it's a small world attraction, which serves Italian-themed food. 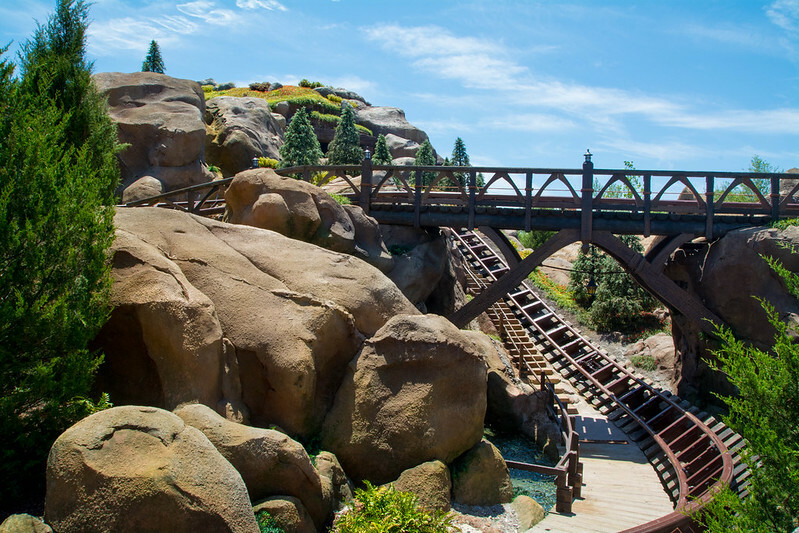 In the past, Pinnochio's has served the basic theme park pizza. However, since the last time I have dined there, they have upgraded their pizza to more gourmet-looking flat breads. It was good pizza and a nice, air-conditioned break from the heat. 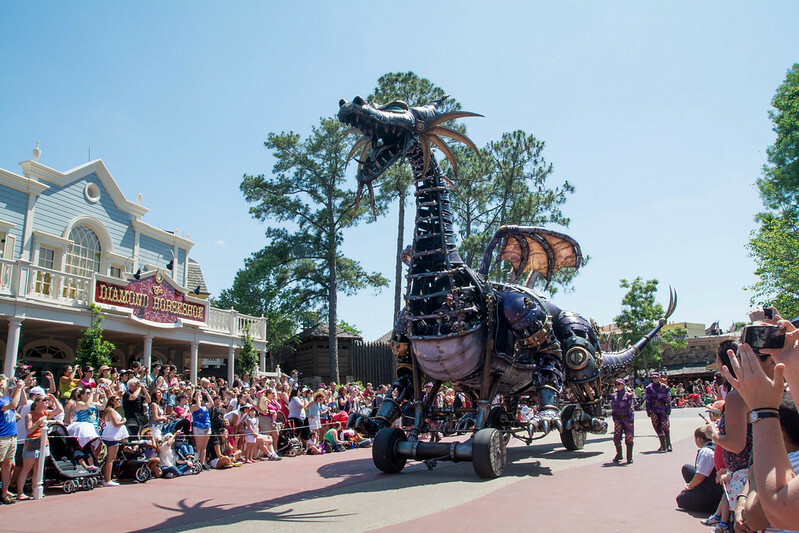 I wanted to be sure to see the new Festival of Fantasy parade. 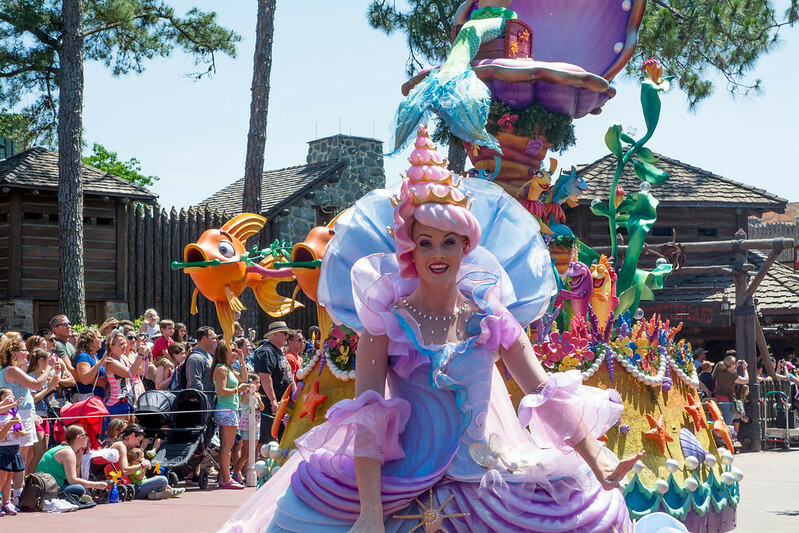 We had seen one of the last performances of the Share a Dream Come True parade when we visited in January, so I was quite excited for this new parade. 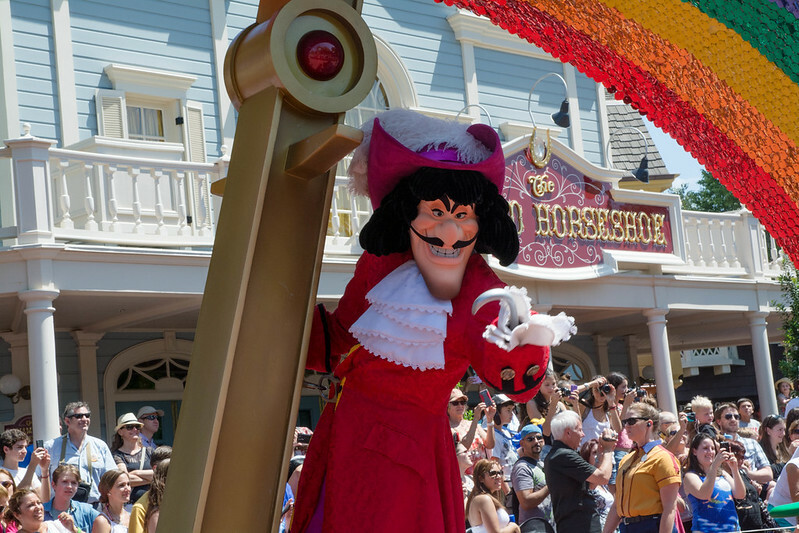 We found a spot in Frontierland (the parade starts in Frontierland, beside Splash Mountain) about 40 minutes before parade time (3:00 PM). 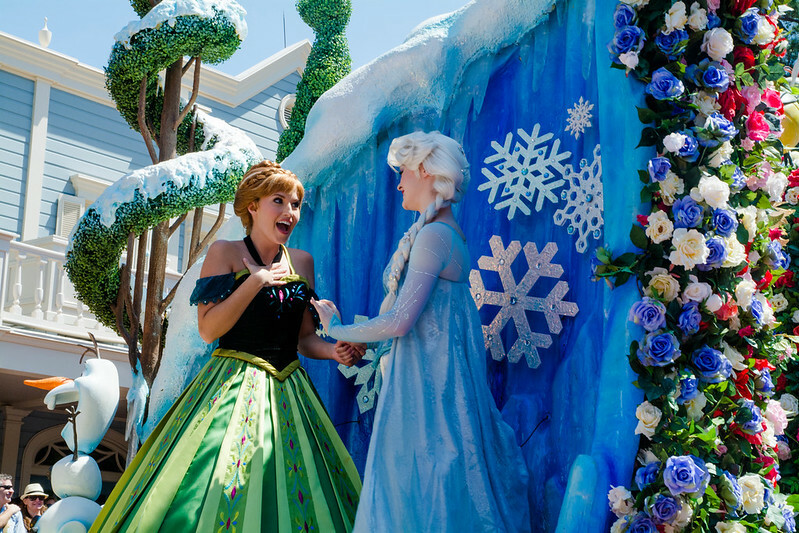 The Festival of Fantasy parade features a few new characters, like Princess Anna and Queen Elsa from Disney's Frozen. 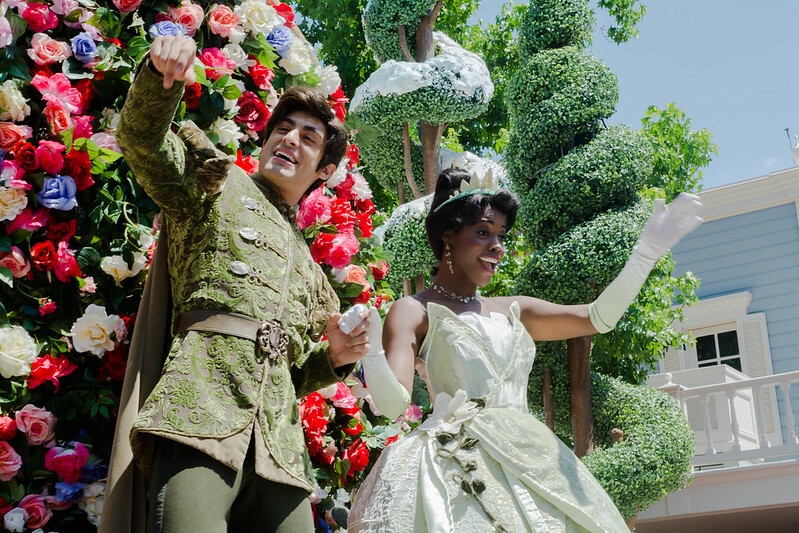 The competition to be "friends" with Tiana must be stiff, because I've never seen Princess Tiana when she didn't look absolutely perfect. 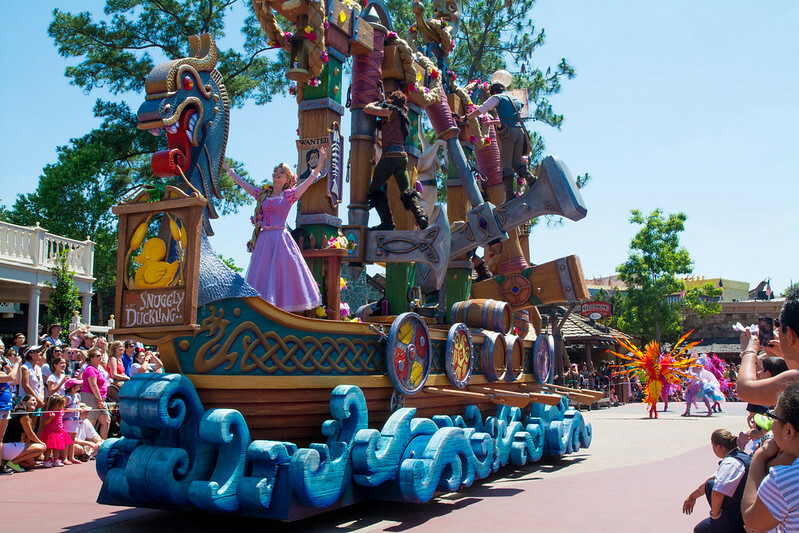 Rapunzel is another new Disney character incorporated in this parade. But we still get old favorites, like Peter Pan. 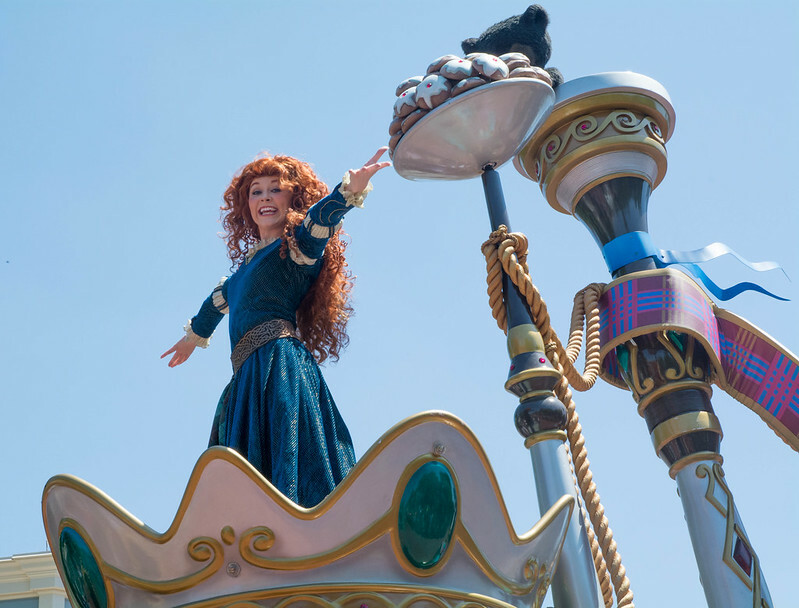 Merida is also always perfect. 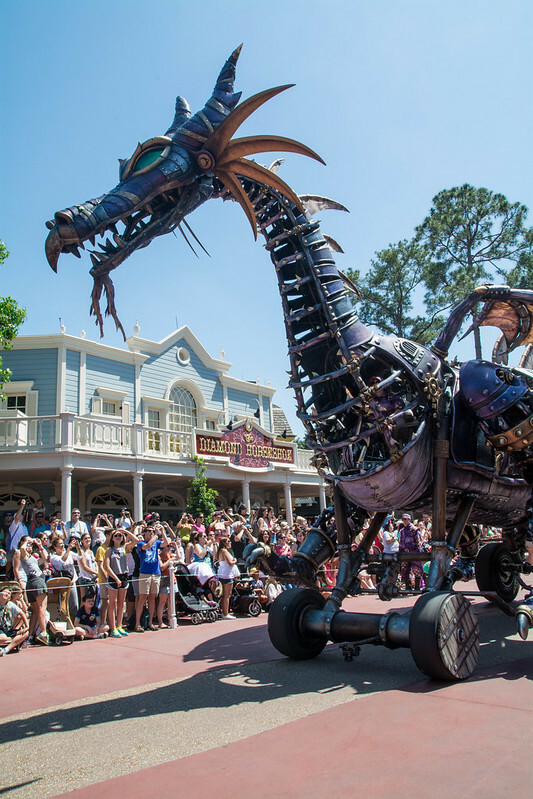 Max was taking a Snapchat video of Maleficent's dragon when it breathed fire, which was really cool. Well, as he was sending the video, his phone died. The video was unable to send, and he didn't get to save it. What a bummer. 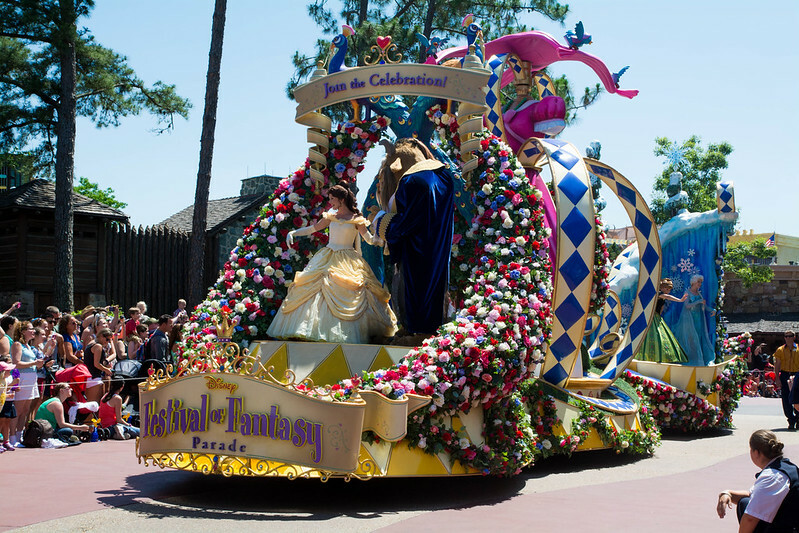 I really enjoyed the Festival of Fantasy Parade. 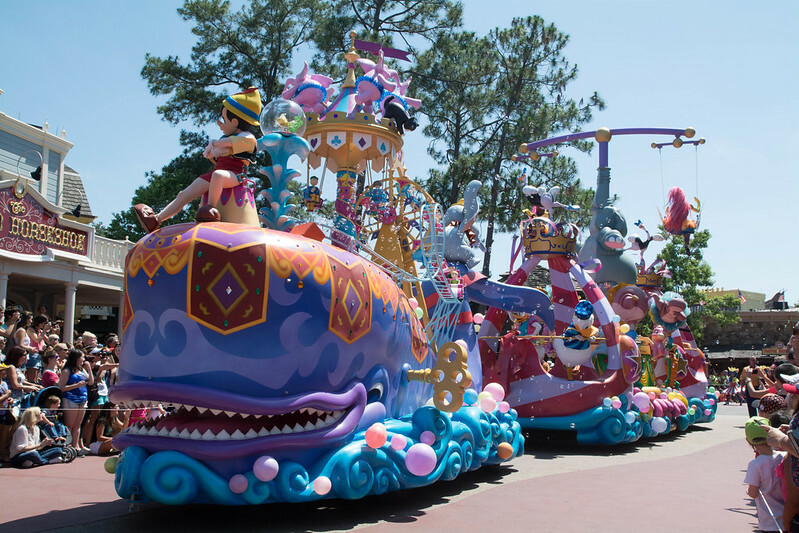 It's about time that Magic Kingdom has updated their afternoon parade. 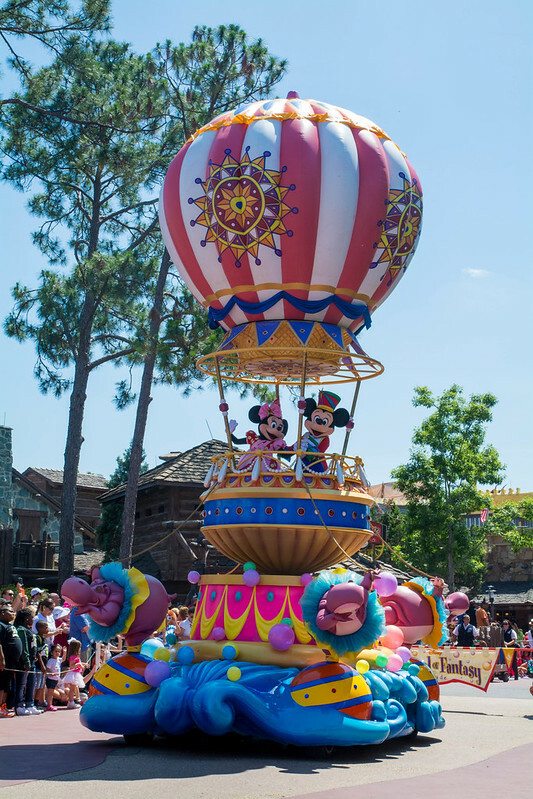 While I enjoyed the Share a Dream Come True parade, I thought that several of the floats were rather simple and basic.... they seemed inexpensive (that is, on a Disney spending scale). 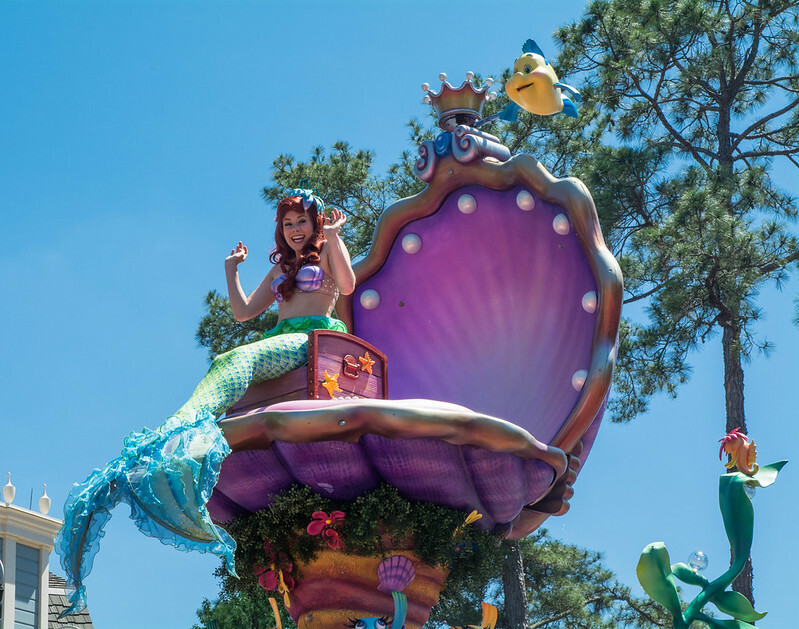 The floats from Festival of Fantasy, however, do not disappoint. 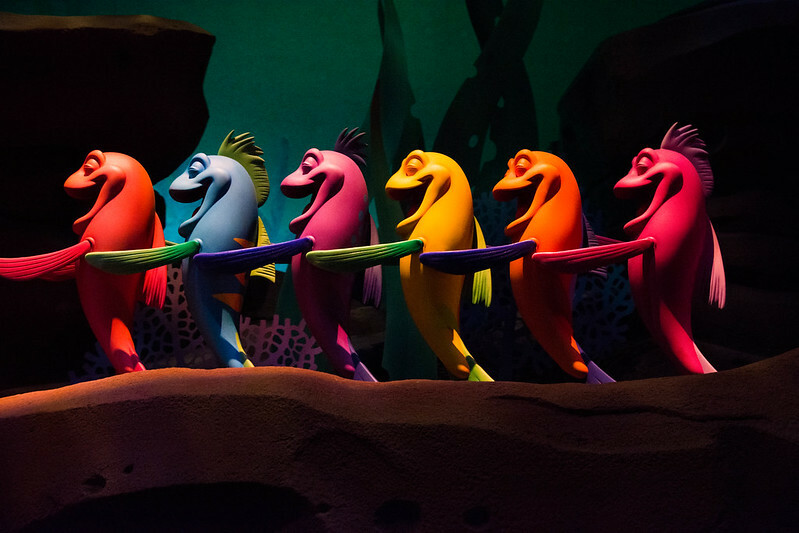 Not only are they elaborate and beautifully crafted, but they're imaginative and creatively combine films while incorporating moving elements. 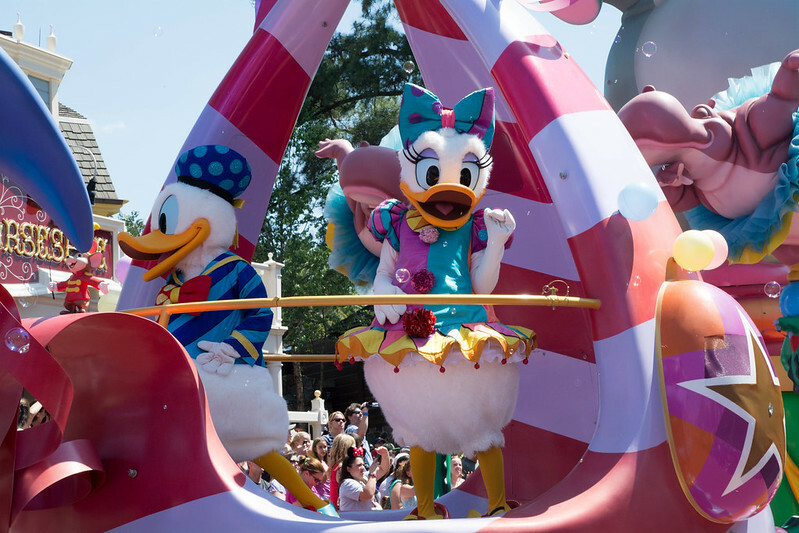 While not timeless, I think that this parade has the potential to last. 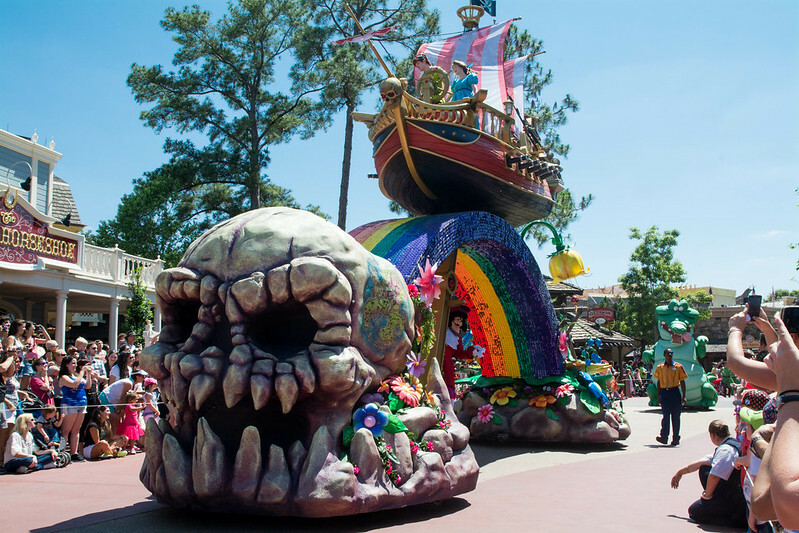 After the parade, we beat the rush to Pirates of the Caribbean and were able to ride with about a 20 minute wait. I was a bit annoyed because apparently someone in a boat ahead of us was splashing the water, because they made announcements several times to keep hands in the boat and not touch the water. 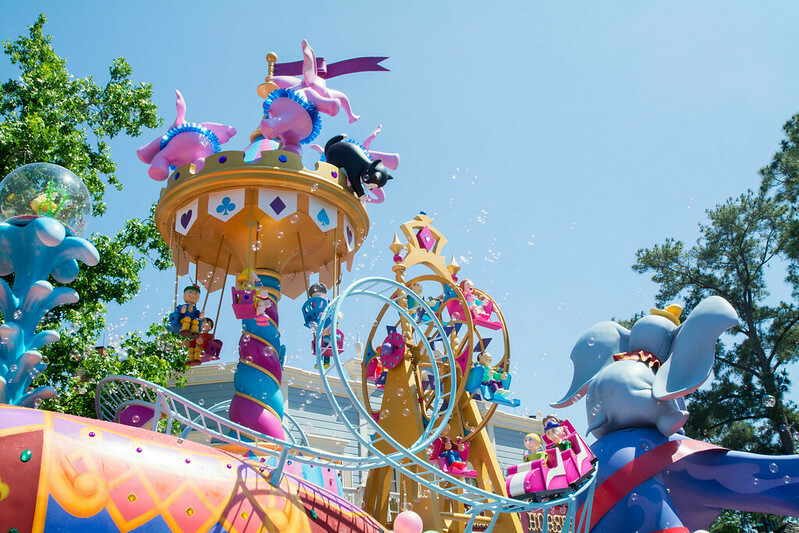 This, of course, ruins the atmosphere of the attraction for everyone else. It was almost time for our Space Mountain FastPass+, so we headed to Tomorrowland. 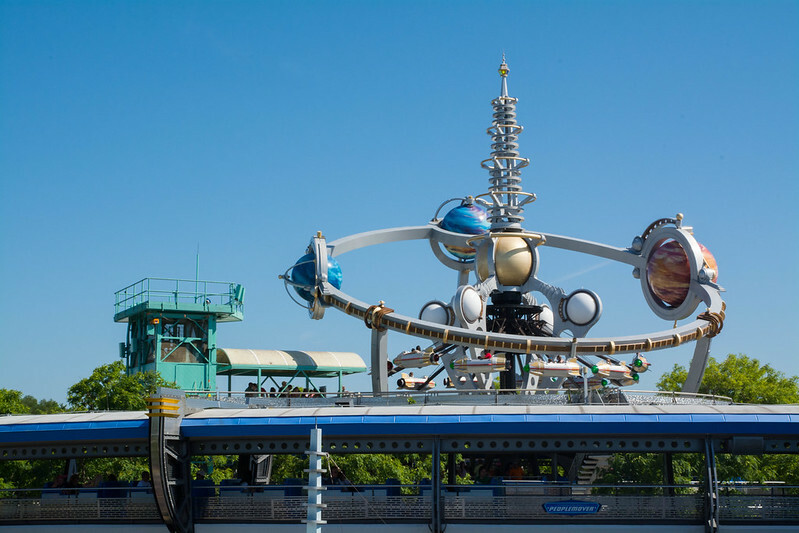 The People Mover (aka Tomorrowland Transportation Authority) is one of our favorites because there is hardly ever a wait, and it provides a breezy and scenic view of Tomorrowland. We had no trouble with our FastPass+ at Space Mountain. Since Max did not have a Magic Band, he simply tapped his park ticket (RFID enabled) to the Mickey scanner, and it turned green. 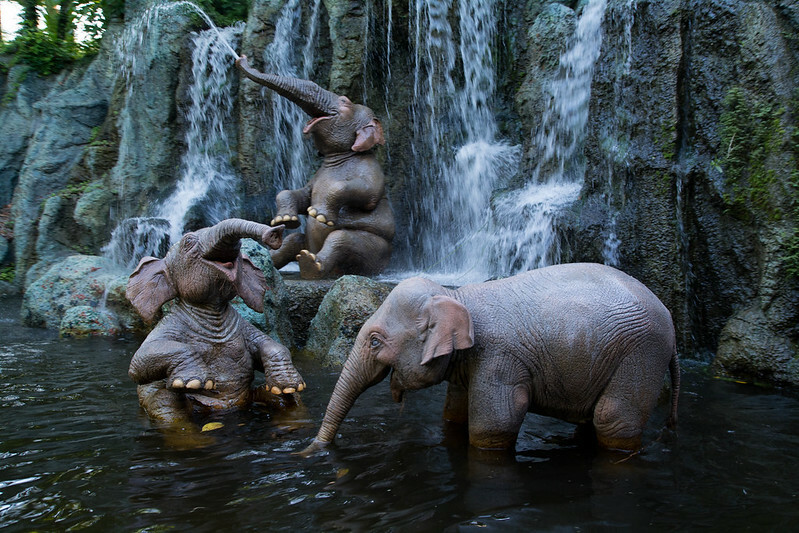 After, we headed back to Frontierland to ride the Jungle Cruise. 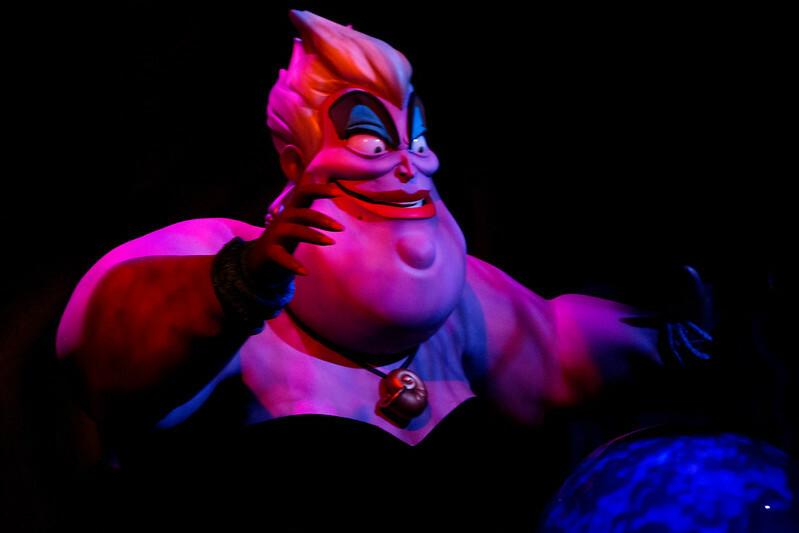 The wait time was listed as only 30 minutes, but the attraction had to temporarily close due to technical difficulties which they announced over the loudspeaker, so our wait time was much longer. Probably 50 minutes. But after you invest all that time, you're determined to stay in line and wait it out. We then had to take a break for churros and Dole Whip. Dole Whip is soft-serve pineapple flavored ice cream (they also have orange), and it is amazing. If you haven't had a Dole Whip, you need to taste the deliciousness at one of the four Disney Parks locations - Aloha Isle in Magic Kingdom, Captain Cook's at Disney's Polynesian Resort, Tiki Juice Bar in Disneyland, and just recently, Tamu Tamu Refreshments in Animal Kingdom where they are also offering an alcoholic version. I cannot believe I did not photograph a Dole Whip for you... perhaps because I couldn't wait to eat it. Next time, my friends! 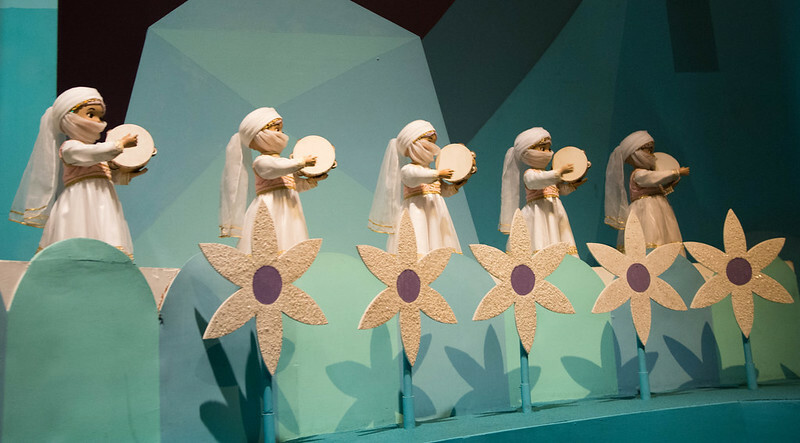 Fortunately, the it's a small world wait was not nearly as long as the 20 minutes listed. We learned at Disney Trivia on the cruise that "Mexico" is the only country written out in it's a small world. I looked hard for it and never found it, so if anyone could give me pointers as to where to look next time, I'd be appreciative. 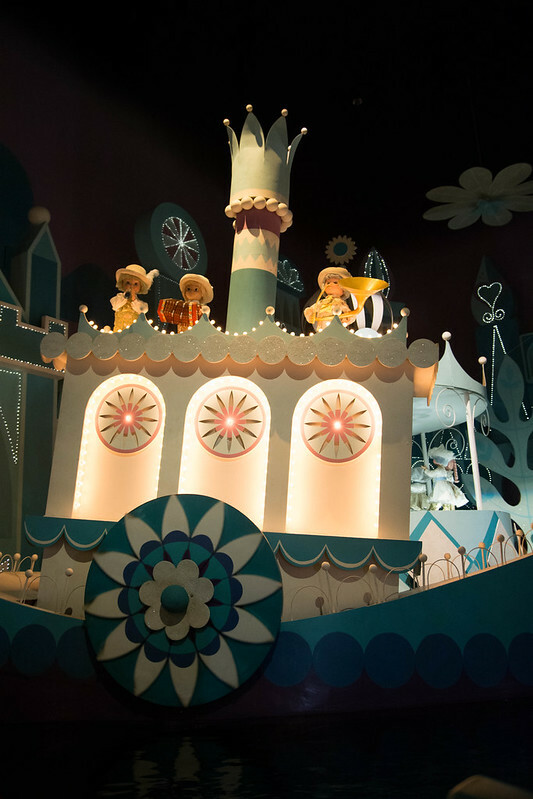 The last room in it's a small world is all white. No, it is not Iceland. It is also not Greenland. And it is definitely not Antarctica. 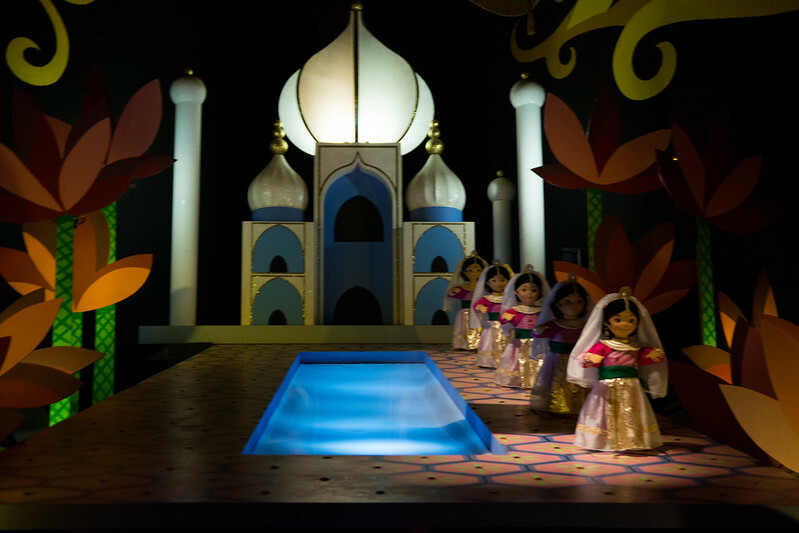 If you look closely, you'll notice that the final room shows all of the children of the world together, illustrating the message of the song "it's a small world". 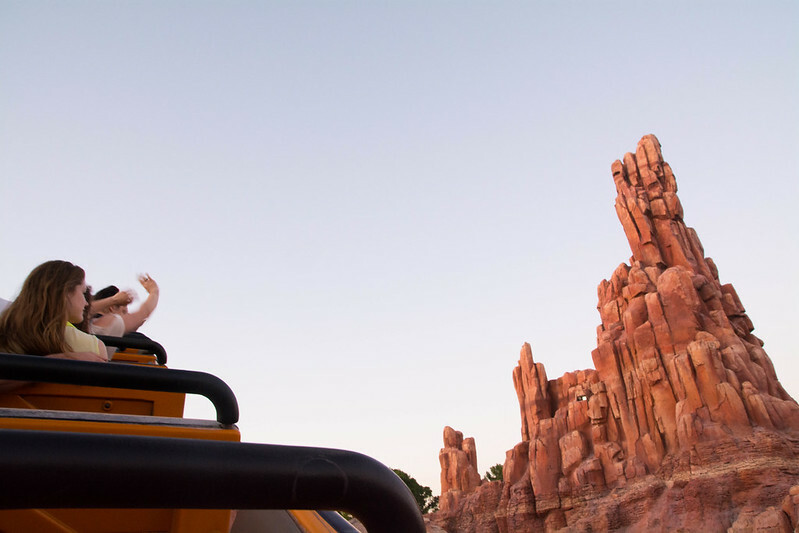 Next, we used our FP+ to take a ride on Big Thunder Mountain Railroad. We had a bit of time to kill before our FP+ for Splash Mountain (and we were hungry), so we ate dinner at Pecos Bill Cafe. I had the taco salad and was a bit disappointed to find that my taco bowl was rather burnt. It must have not been too burnt, though, because the rest of my family gladly ate it for me. 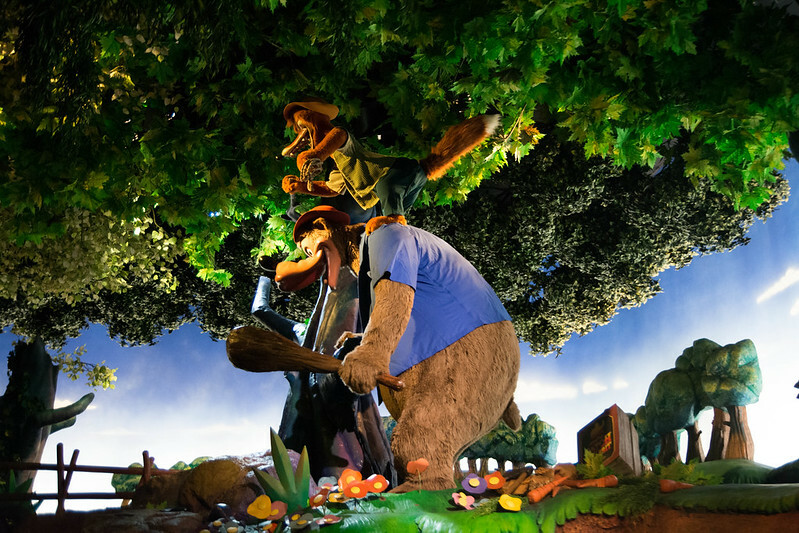 If you haven't been on Splash Mountain because you don't like to get wet or are scared of that giant five-story drop, you might not know that before the big splash, it's actually a dark ride taking you through the adventures of Brer Rabbit and Brer Bear from Disney's now controversial and never to be released again 1946 live action movie, Song of the South. 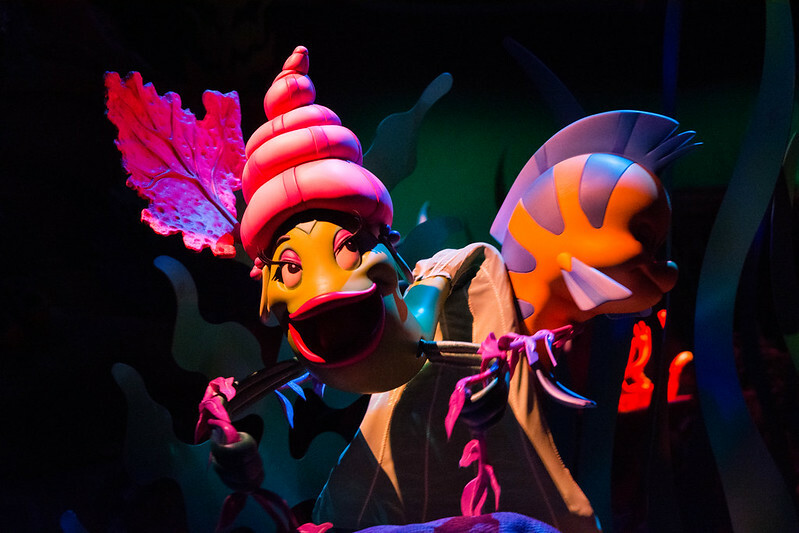 Splash Mountain is actually the only source of survival for Song of the South. 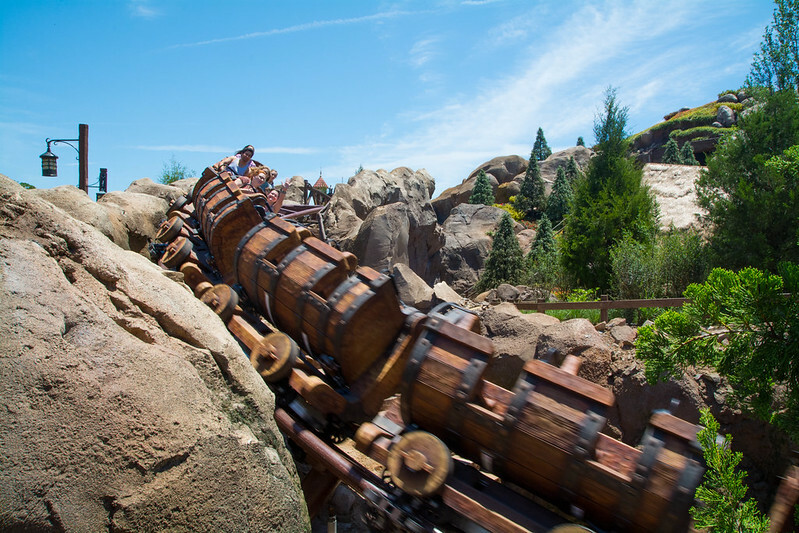 There is actually a website, SongoftheSouth.net which has facts about the original Disney movie with a section just for Splash Mountain that I would encourage you to visit. 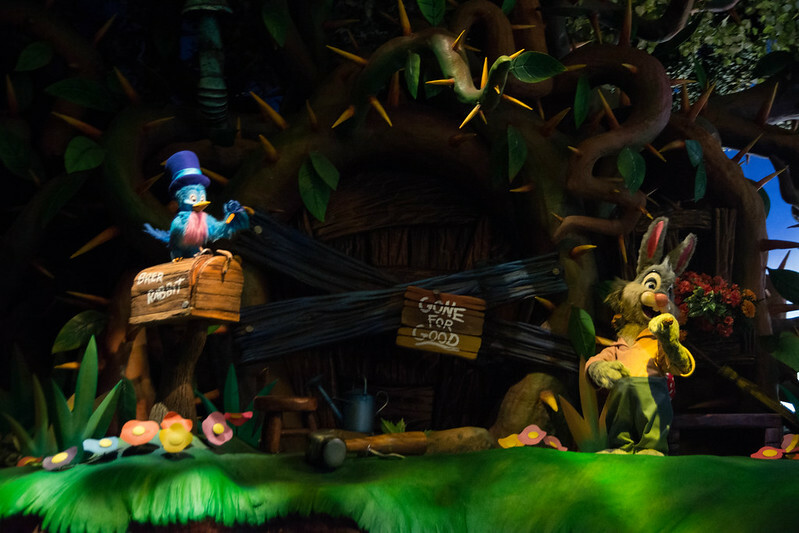 Be sure to watch the Splash Mountain Rap at the bottom of the video page! When we got off Splash Mountain, we were trapped in Frontierland by the first showing of the Main Street Electrical Parade. 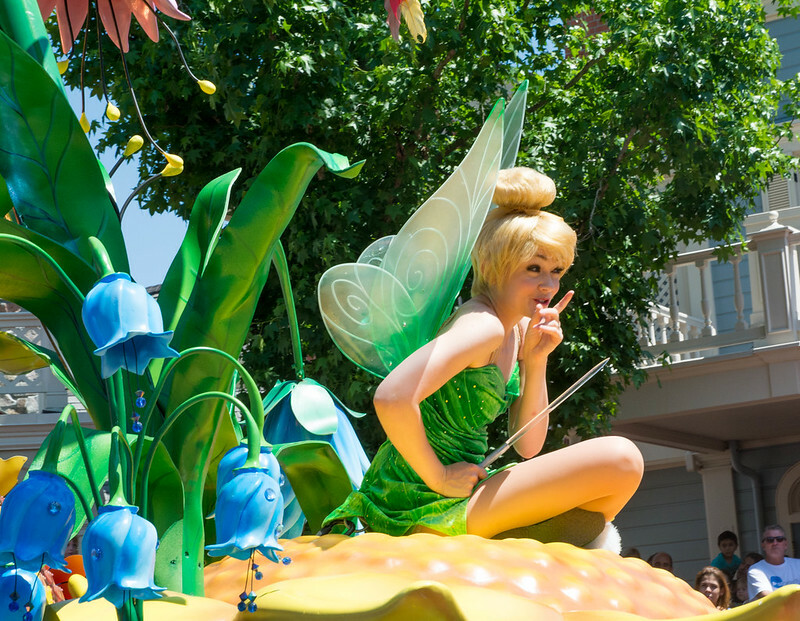 After letting the parade pass, we were able to leave the Magic Kingdom.... but I was scheming. 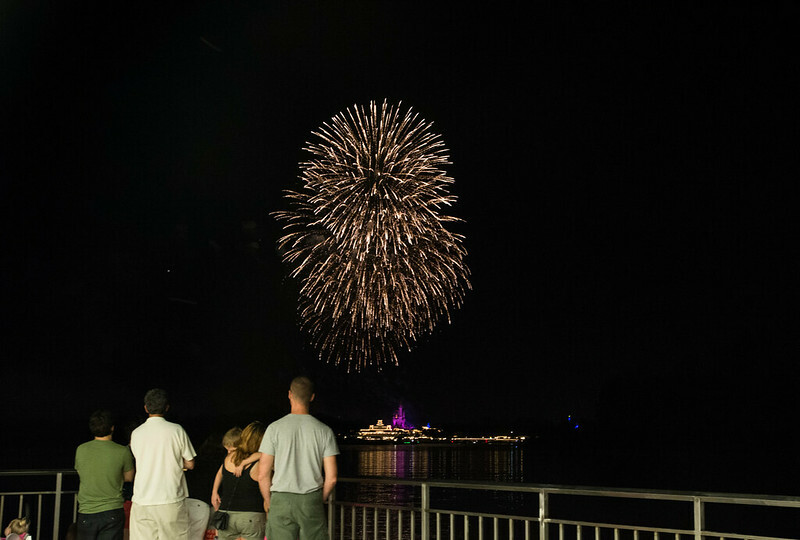 Fireworks were starting in just 20 minutes... it would be absolutely perfect for us to watch them from the Transportation and Ticket Center. I used the argument that Max had paid a full days admission and deserved to see some fireworks! I was quite disappointed in the audio at the Transportation and Ticket Center. We watched from the ferry dock. I had been at the monorail loading location during the fireworks before, and the audio was on full blast. It was coming out of the speakers very quietly at the ferry dock. Perhaps we should have watched from the monorail loading dock. The perspective from this distance is fascinating, though. Watching the fireworks from in the park, it's difficult to tell how big they actually are. 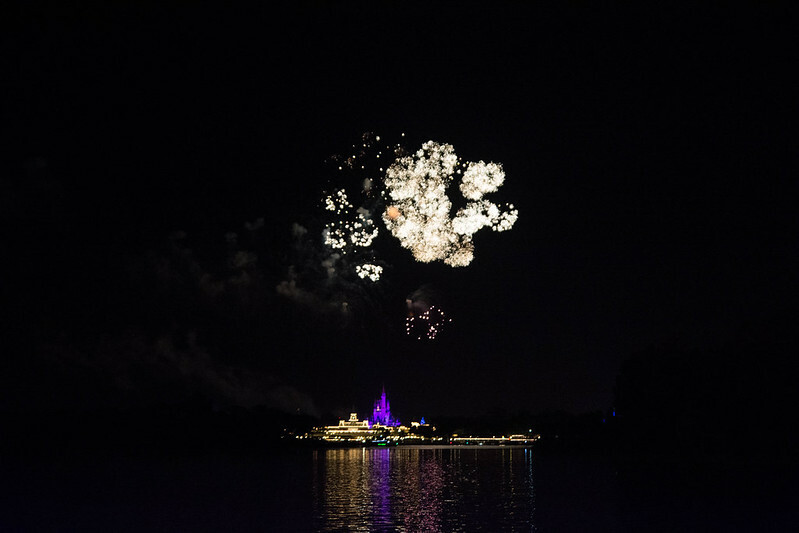 But seeing them from across the lake, the castle appears so small in comparison. 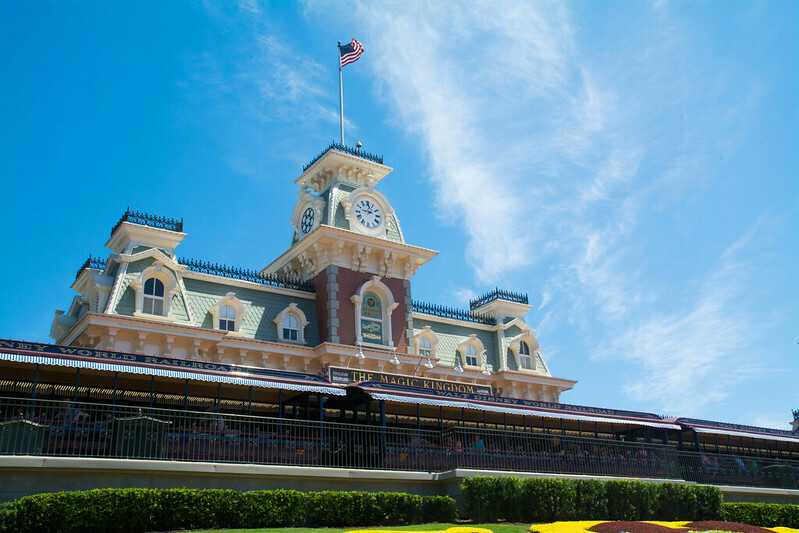 I think we had a very successful day at the Magic Kingdom, especially arriving so late and with no FastPass+ reservations until we got there late that morning. 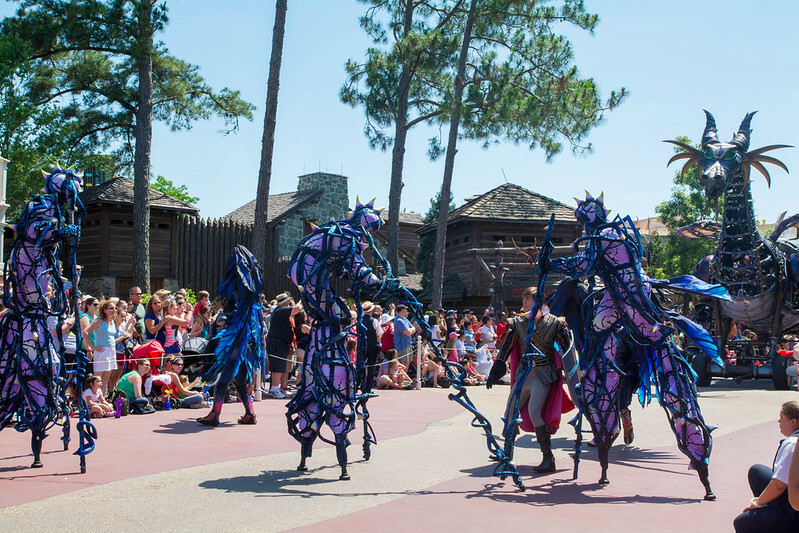 This is proof that FP+ is not putting off-site or day guests at a huge disadvantage and that with a tiny bit of pre-planning (go ahead and download the free My Disney Experience app and make your profiles! ), you can easily add and switch FP+ options the day of. This officially marks the end of my Disney Fantasy Cruise Graduation Celebration. I would like to thank you all for reading along!